Buffalo chicken meatballs are one of my favorite recipes lips in a long time! Honestly, I wish that I’d discovered buffalo chicken meatballs sooner. 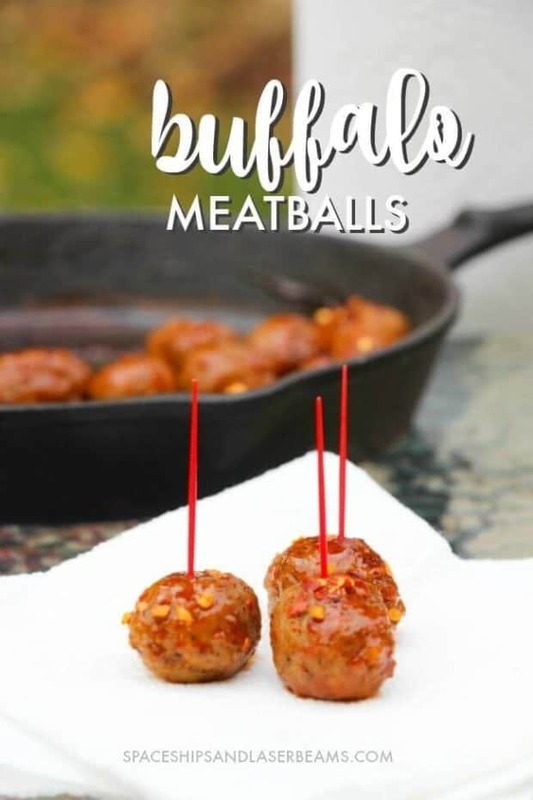 If you don’t have time to make anything from scratch, this buffalo meatball recipe is going to be an absolute lifesaver when you have people over! Since I discovered this recipe, everytime we entertain, this appetizer is a go-to. Of course, we can’t just serve buffalo chicken meatballs alone – pair them with these little smokies, and this buffalo chicken dip. They both go so well with this recipe and make a fantastic menu for any party. 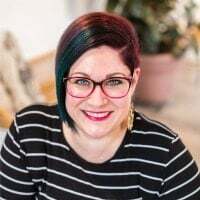 Like most moms, I thought I was too busy to host a party for a long time. Simple recipes like these buffalo meatballs have made socializing so much easier. This simple recipe pairs so well with other easy finger food dishes. Put these tasty meatballs at the centre of your table and surround them with simple and flavorful nibbles, like bacon cheddar cream cheese dip or deviled eggs, and you’ve got a winner. Not only are these buffalo chicken meatballs delicious, they’re super easy to make. With only six ingredients, you’ll be able to whip up a large batch of meatballs in no time. 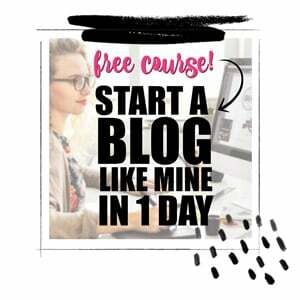 You might feel completely swept of your feet and like you don’t have a second to spare. Once you try this buffalo meatball recipe, you’ll want to make time to be in the kitchen and get your hands dirty. It only takes six ingredients, three tools and five little steps to make your very own homemade meatballs. From start to finish, it should take you no more than 20 minutes to serve up this nice appetizer. First, your going to put the hot sauce, brown sugar and apple cider vinegar in a skillet on the grill. You’ll whisk or stir while heating until a consistent sauce forms. This will take about 3 minutes. Then, season the meatballs and add them to the sauce mixture. Make sure you cook the meatballs thoroughly, about 5 minutes, coating completely in the sauce. Remove from the skillet and garnish with red pepper flakes or cilantro and serve with skewers. 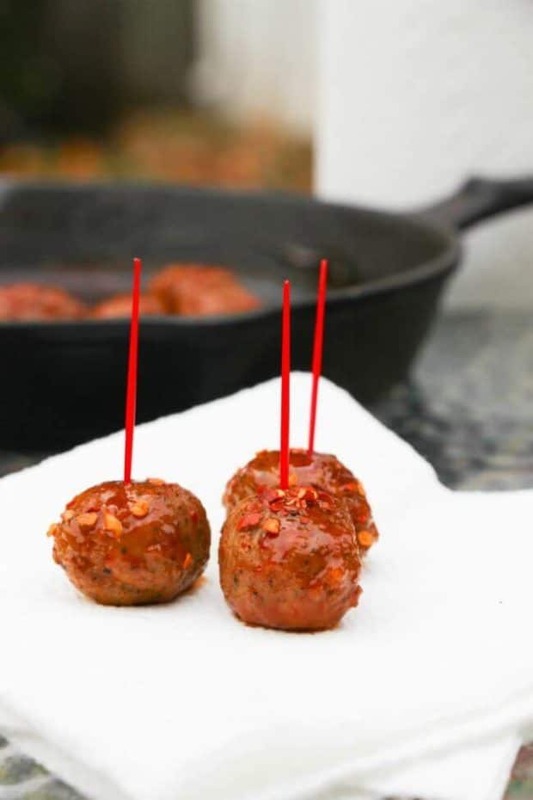 You can serve your buffalo chicken meatballs as a snack or buffet style with some healthy finger foods. Carrot sticks, cucumbers, chopped up bell peppers or celery all go great next to these meatballs with a bit of ranch dressing on the side. Sometimes, I even like to add a small dollop of honey to my buffalo meatballs. Sweet and spicy! These meatballs are bound to be a winner with the family. Serve a few of these homemade meatballs with a side salad or on top of mashed potatoes. These buffalo chicken meatballs are nothing if not adaptable to your family’s tastes and cooking habits. That’s one of the best things about this recipe. You can make these buffalo meatballs just as easily in a slow cooker. 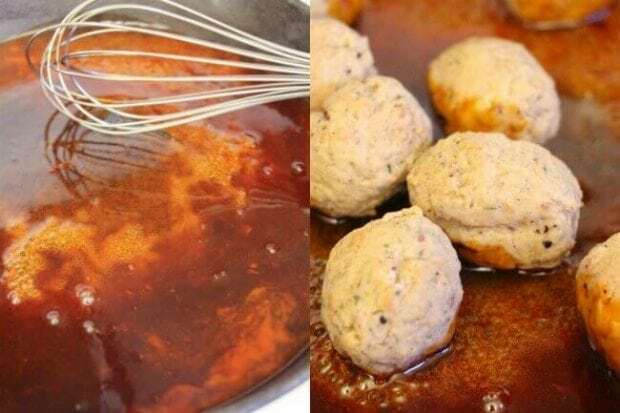 Simply mix the hot sauce, brown sugar and apple cider vinegar together in the bottom of the crockpot, season with salt, add the meatballs and leave to cook on low for a few hours. Job done! Don’t have a slow cooker? No problem. 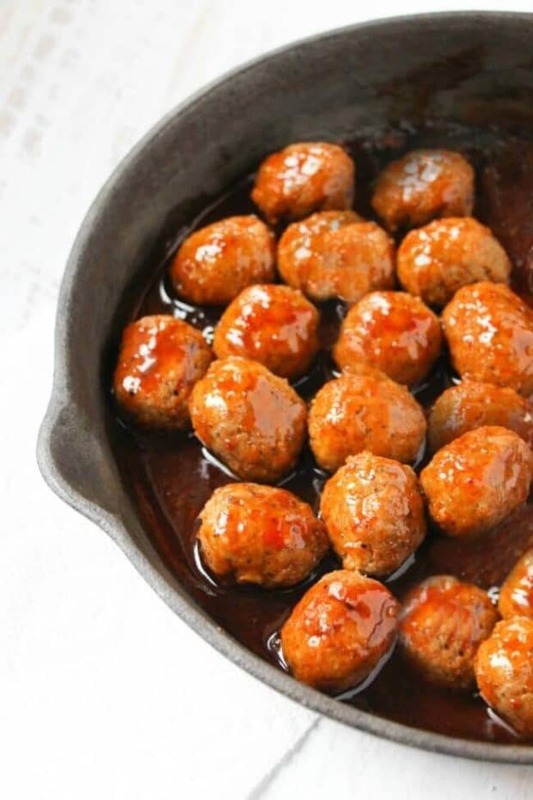 You can also bake this recipe by combining the ingredients in the bottom of a baking dish, add your meatballs and leave them to bake in the oven. While you’ve got the oven on, you might as well throw in some garlic bread to go with the baked meatballs and mop up that buffalo style sauce. 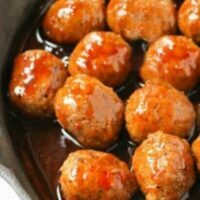 My family likes these buffalo chicken meatballs the best, but you might prefer to make this recipe using turkey meatballs or even classic beef meatballs. Whichever ones you use, I’m sure they’ll be tasty and packed with protein. However you choose to dish up your buffalo meatballs, I’m certain you’ll have empty plates. This is the perfect, quick and easy dish that doesn’t compromise on taste or good nutrition. Cookie Dough Dip – Great with sliced apples! These easy buffalo meatballs are a quick, easy, delicious meal you'll love! Place the hot sauce, brown sugar and apple cider vinegar in a skillet on the grill. Whisk or stir while heating until a consistent sauce forms, about 3 minutes. Season with salt before adding the meatballs. Cook the meatballs thoroughly, about 5 minutes, coating completely in the sauce. Garnish with red pepper flakes and serve with skewers and plenty of Bounty Paper Towels. We love this delicious recipe! Love this recipe for those busy week nights that I don’t have a whole lot of time.